In July 2016, I was privileged to meet the smallest ethnic group in Vietnam. With virtually no information available online, it took me two days to find them! I was however lucky enough to meet the chief who was initially reluctant to part with a costume. But when I told him about representing his group in my collection, he helped me. I was surprised to discover that the Ơ Đu only have 5 complete original costumes left! 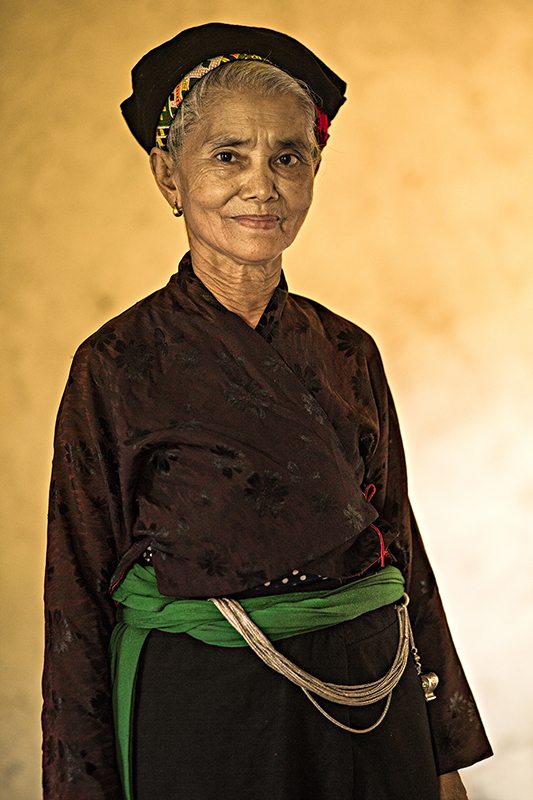 I also met Vi Thị Dung, a 78 year old woman, the last person making the skirt in the village. 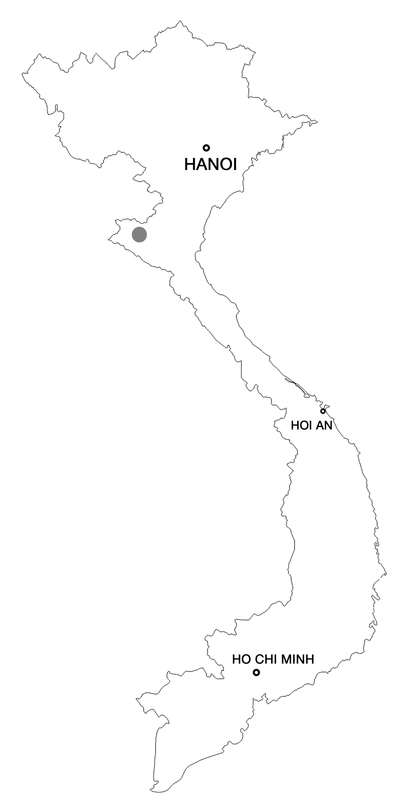 In order to obtain a full costume today, the Ơ Đu have to cross the border into Laos, something they rarely do. I also discovered that only 10 people left in the village can speak the original language called Phrom, all of whom are over 70 years old. Sadly, no one is able to read or write it, making it impossible to even learn.